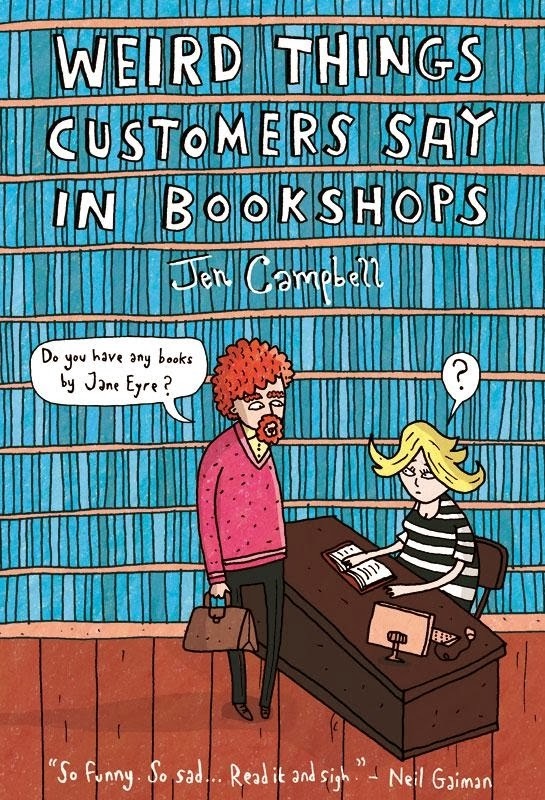 I've been looking forward to reading Weird Things Customers Say In Bookshops by Jen Campbell for so long, and most book-lovers will no doubt have already seen this in stores or heard about it. 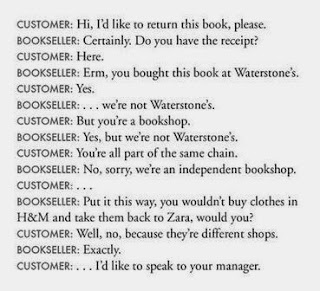 It's a collection of the funny, weird and bizarre comments and queries that bookish customers make in bookshops. 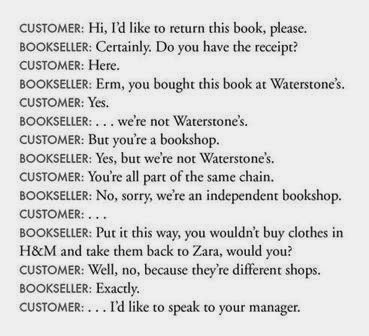 The author Jen Campbell is a bookseller herself, so there were great contributions from her and some from other bookshops around the world. Some of the entries were brief and some more involved, but all made me shake my head, some made me laugh out loud and others just made me wonder about the public. 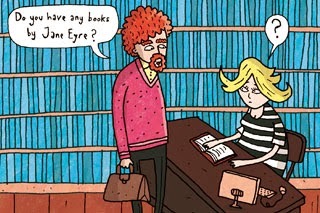 Cartoons and graphics broke up the entries and the pages just flew by. 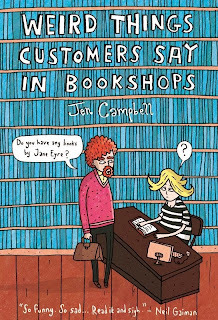 Weird Things Customers Say In Bookshops by Jen Campbell is a short and delightful read, perfect for Christmas (sharing tidbits, leaving on the coffee table or as a stocking filler) and I recommend it to all readers, young and all. Actually Jen Campbell is shipping autographed copies all over the world at the moment, so it might be a great gift idea for your favourite book-lover.